« My Pillow…Is It Worth It? I am never heard of this drink but it looks great. I’ll have to see if we have any around here so that I can try it also. I love flavored water that is natural. These come in some yummy flavors! I’ve never heard of this brand, but I drink a lot of flavored water. I’ll have to check this out. This a new brand to me which sounds absolutely refreshing and delicious. I’ll have to look for this in the store since our family only drinks low-cal and no-cal sugar free drinks. I haven’t heard of this product before. It would be interesting to try the different flavors. I would use these to mix my drinks with. I like the variety that they offer. Ah, nice find! It might be even more refreshing as we head into summer. I wonder if I’d be able to find this. I would love to try the Raspberry Pink Lemonade first. I wonder why they sell in 8 packs instead of 12. I will have to look for these when I do groceries tomorrow. My friend was just telling me about this the other day. 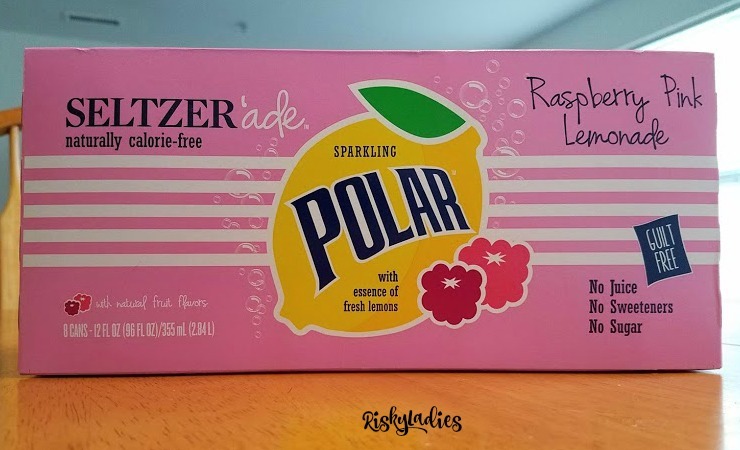 I love seltzer and Raspberry Pink Lemonade sounds so delicious to me. I haven’t heard of this before, but I am not above trying it if I see it somewhere. After your review of it, how could I pass it up? I would love to try all these flavors! This are a sure hit to our next party! Polar is my absolute fav seltzer. I totally buy it in bulk and we drink it all the time! I love all of their flavors! Oh this is my favorite seltzer brand! I need to be on the lookout for these! WE don’t drink but I would try some of the flavors to see how they taste. To bad about eight pack instead of twelve. Natural flavored water?! Count me in. I always need to drink more water and sometimes plain water, won’t quench my thirst. I’ll need to look out for these the next time I go food shopping. I am a seltzer addict because it is so important to stay hydrated. Hopefully with all those great Polar flavors I can get my kids to like seltzer too. I’m going to have to try this. I need something that is light but enough to give me a little flavor instead of just plain water all the time! I have been trying to switch to seltzer and sparkling water instead of drinking as much Soda. I will have to give this seltzer-ade a try. That’s cool that you found some good mixing material. I like stuff that I can enjoy on it’s own. I will have to remember this when I am looking for mixers. I’ve tried seltzer in the past and have not liked it! I love pink lemonade, though. Will have to try mixing it with other flavors that my friends keep on hand in their tiki bar. I have not noticed this in the stores in our area yet, but if I do, I’m willing to give it a try. Although I have no issues with drinking just plain water, a bottle of flavored water would be nice on a really hot and humid day. I have never heard of this brand! It really looks like it would be very refreshing and yummy though. I’ve never heard of this but truthfully don’t drink seltzer so that doesn’t mean much. My Mom loves flavored seltzer so it is something she’d be curious about. Fizzy water is some of my favorite drinks. I haven’t heard of this brand before. It’s a better option than soda. I’m heading out shopping this afternoon and will keep an eye out for this. I am glad to know they have a seltzer ade out now. I love seltzer but I have never heard of this beverage. It sounds absolutely delicious. I can’t wait to try this drink! It must be where I live but I have literally never heard of this brand. Now I’m itching to try them!! These sound refreshing. I hope they have them in my store. I’ll have to look the next time I’m there. I have never seen or heard of this brand.. I don’t drink seltzer often but would love to try this product. Adding to vodka, after my own heart. I got many a strange look the first time I mixed muscato and vodka, but now it’s loved by all!